European countries and the US along with Canada and Australia have decided to expel Russian diplomats amid the Skripal case. "We express a decisive protest over the decision taken by a number of EU and NATO countries to expel Russian diplomats. There will be a mirror-like response. 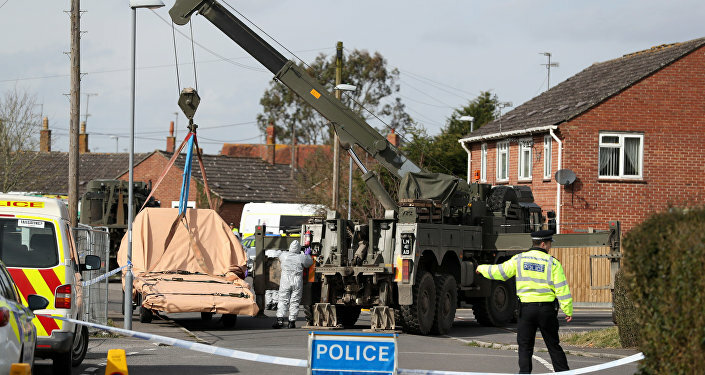 We will work it out in the coming days and give our response with regard to each country… We consider this step as unfriendly and not serving the tasks and interests of establishing the causes and finding the perpetrators of the incident that took place on March 4 in Salisbury," the Russian Foreign Ministry said in a statement. According to the Russian Foreign Ministry, powerful forces in the US and the UK are behind the poisoning attack on ex-spy Skripal in Salisbury. "Fourteen out of 28 EU member-states have decided to expel diplomats from the Russian Federation as a measure of solidarity with London on the Skripal case… Additional measures, including further sanctions within the common EU framework, cannot be excluded in the coming days and weeks," European Council President Donald Tusk said. Moscow will retaliate against a series of expulsions of Russian diplomats from European countries and will provide a mirror-like response with regard to each case in the coming days, the Russian Foreign Ministry said in a statement. Moscow has been ready for the decision of Western countries to expel Russian diplomats, according to the Russian Foreign Ministry. The Russian Consulate in Seattle is working to minimize the effects of the US closure of the mission, the senior Russian consul said. "The Slovak Republic unequivocally condemned the nerve agent attack in Salisbury [the United Kingdom], joined the decisions of the European Council on March 22, 2018, and reserved the right to take further steps in connection with this incident… After the careful consideration of the options, the republic's Foreign Ministry has decided to urgently summon the Russian ambassador to Slovakia on Tuesday, March 27, and ask him for an explanation of the incident," Slovakia's Foreign Ministry's spokesman Peter Susko said. Four Russian diplomats who have been expelled from Germany over Russia's alleged involvement in the case of poisoning the former GRU colonel Sergei Skripal in the United Kingdom must leave Germany within a week, the German Foreign Ministry said. "Today we, just like other EU countries and countries outside of the European Union, have decided to expel two Russian diplomats. The Russian ambassador was informed today that Denmark is expelling two Russian diplomats," Danish Foreign Minister Anders Samuelsen said. Lithuania's Foreign Minister Linas Linkevicius said "We have to do the utmost to show… solidarity with our allies," and to come up with "coordinated measures" as well as national measures. "Today, Poland decided to declare four Russian diplomats persona non-grata," Polish Foreign Minister Jacek Czaputowicz said. Estonian Foreign Minister Sven Mikser said that the Russian ambassador was given today a note on the expulsion of the military attache from the country. "Based on what has been discussed at the European Council meeting, Hungary is expelling a Russian diplomat also conducting intelligence activities," the Ministry of Foreign Affairs and Trade of Hungary said. Ireland is ready to expel at least one Russian diplomat, according to Irish Times. "In response to the cynical chemical attack in Salisbury, Ukraine, in a spirit of solidarity with our British partners and trans-Atlantic allies, and in coordination with the EU countries, has decided to expel 13 Russian diplomats… Our diplomatic relations with the Russian Federation have been de- facto frozen, as you know," Ukrainian President Petro Poroshenko wrote in his Facebook. The Mexican Foreign Ministry condemns the nerve gas attack in the UK on March 4 and informs that it reserves the right to take diplomatic action, including the expulsion of officials, pending an investigation into the matter. Canada's decision to expel Russian diplomats has delivered another huge blow to bilateral relations, the Russian Embassy in Ottawa said in a statement on Monday. According to the Russian Embassies in Poland, Lithuania, Latvia, and Estonia, the Ambassadors to these countries have been summoned earlier to the Ministries of Foreign Affairs of the respective nations. Austria will not expel Russian diplomats, as it intends to keep channels open for dialogue with Moscow, according to the cabinet spokesman. Austrian Chancellor Sebastian Kurz said that Austria would remain neutral and would work to restore relations between East and West. "We will not take any measures at the national level, we will not expel diplomats. The reason for this is that we intend to keep open channels of dialogue with Russia. Austria is a neutral country and a kind of bridge between East and West. But we support the decision to recall the EU ambassador from Moscow," Austrian Chancellor Sebastian Kurz said on Twitter. Ö steht hinter d klaren Erklärung d Europäischen Rates u d Entscheidung,d #EU-Botschafter aus #Moskau zurückzurufen.Als neutrales Land werden wir aber keine Diplomaten ausweisen. Vielmehr wollen wir Brückenbauer zwischen Ost u West sein&Gesprächskanäle nach #Russland offenhalten. Bulgaria, for its part, doesn't intend to expel Russian diplomats, the ministry said. Turkey doesn't plan anti-Russian measures over Skripal case, according to the Prime Minister deputy. "The crisis with the former agent concerns relations between the Russian Federation and Great Britain. They must resolve this question among themselves. Turkey is not going to take any decisions with respect to Russia in this regard. We have good relations with Russia," Turkish Vice-Prime Minister Bekir Bozdag said. The Czech Prime Minister says not Russian diplomats, but "unreported spies" will be expelled from the Czech Republic over the Skripal case. "The use of a term ‘diplomat' [in the light of the issue of expulsion] is wrong. In fact, these are people who are called ‘unreported spies.' It seems that there are more of them in the Czech Republic than in any other country in Europe… Moreover, the Russian side has scandalously accused us, saying this Novichok poison is allegedly being manufactured here. This is a blatant lie," Andrej Babis wrote on his Facebook page. Earlier, Czech PM Andrej Babis at the EU summit in Brussels had told reporters that he was considering the possible expulsion of several Russian diplomats from Prague in solidarity with Britain over the Salisbury case. "Although it [the United Kingdom] is withdrawing from the European Union, we must do everything to ensure that Europe remains strong and united. In addition, the United Kingdom is a prominent member of NATO and, in terms of European and transatlantic security, an important partner for the Czech Republic. Thus, I repeat, we must support the United Kingdom," Babis said. Poland's security agents have detained a government official and suspect him of providing Russia with secrets about tactics Warsaw projected to use to try to block the construction of a gas pipeline, the Polish government said. The official, who has been named only as Marek W., has been responsible for energy projects and allegedly was providing the Russians with information on how Warsaw intended to block the Nord Stream 2 pipeline, Stanislaw Zaryn, spokesman for the minister responsible for the secret services. Poland opposes the building of Nord Stream 2, which would connect Russia to Germany through a pipeline across the Baltic Sea and enable Moscow to pump more gas to its main markets in Western Europe while detouring states further east. Warsaw states the pipeline would extend Gazprom's dominant claims on the gas market in central and eastern Europe, limit competition and increase Europe's dependence on Russian gas. Russian Foreign Ministry Spokeswoman Maria Zakharova characterized the expulsion of Russian diplomats from EU countries as being loyal lip service to the UK and accused London of imposing on Europeans a deterioration in relations with Russia. "Now the ‘parade of sovereignties’ will start, the-loyal lip service of political support by EU countries for London," wrote the official representative of the Russian Foreign Ministry Maria Zakharova on her Facebook page. She noted that "everything that will happen now in the public-diplomatic sphere (reviews, expulsions, etc.) will be explained by the EU as 'solidarity' with London, as the EU's foreign policy requires." "When London leaves the EU, amid its Brexit process, it will not be bound by the framework of a general line in foreign policy. It will be able to start a game for approaching or removal. But the countries remaining in the European Union will be bound by the mutual guarantee of anti-Russian solidarity, the has already been imposed by the British," she said. 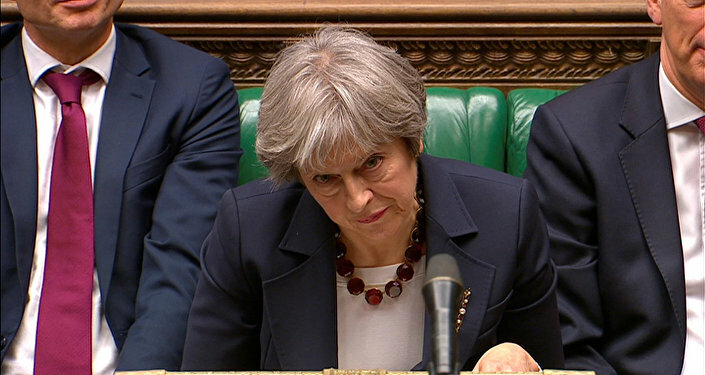 The moves come a few days after the expulsion of 23 Russian diplomats from the UK amid Theresa May accusing Moscow of Sergei Skripal's poisoning. Commenting on the expulsion of Russian diplomats from various EU countries, Britain has welcomed the support displayed at a summit last week by other EU countries, but it is up to them if they decide to take further action against Moscow, a spokesman for Prime Minister Theresa May said. "You saw at the European Council a very positive response from our partners who said they agreed with the UK's assessment. In terms of decisions which countries may choose to take when they're planning further action, that's obviously a matter for them," he told reporters. At the EU summit in Brussels, the heads of European countries expressed their solidarity with the UK’s measures.